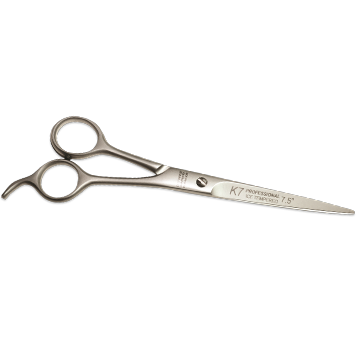 K Series Shears are high-quality, ice tempered, Stainless-Solingen Steel from Germany, at a very affordable price. Finger rest, silencer, one side corrugated. Item # H-4042 — 7-1/2"
Item # H-4041 — 6-1/2"
Item # H-4040 — 5-1/2"
Choose Length: 7-1/2" 6-1/2" 5-1/2"